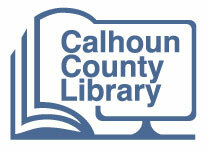 The Calhoun County Library offers an easy way to stay up-to-date about information and events at the Library. Learn about children’s and adult programs, know when materials you have requested have arrived, be notified about closures and avoid fines by staying on top of approaching due dates. Sign up using the link below.